Embracing his glory. Ah, Glory. Wanted by so many, achieved by so few. Hollywood Tarot cliche #738: "Fame carries a high price." 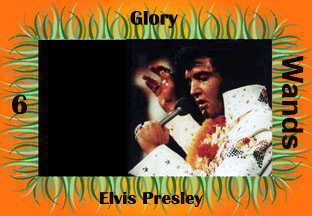 Glorious Elvis is always on stage at Elvis in Hawaii.